Please read this Legal Statement carefully before using the NORTHERN MUTUAL INSURANCE Internet Web site(s). If you do not agree to the terms of this Legal Statement, please do not use the NORTHERN MUTUAL INSURANCE Internet Web site(s). YOU AGREE AND ACKNOWLEDGE THAT BY READING THIS DISCLAIMER IN ITS ENTIRETY YOU ARE INDICATING YOUR AGREEMENT TO BE BOUND BY THE TERMS OF THIS LEGAL STATEMENT AND YOUR ACCEPTANCE OF THE NORTHERN MUTUAL INSURANCE PRIVACY STATEMENT, A LINK TO WHICH IS ALSO PROVIDED BELOW. NORTHERN MUTUAL INSURANCE and its affiliates provide their services to you subject to the following notices, terms, and conditions. In addition, when you use any service of NORTHERN MUTUAL INSURANCE or its Internet Web site(s), you will be subject to the rules, guidelines, policies, terms, and conditions applicable to that service and you will be subject to all governing state and federal laws, including applicable patent, copyright, trademark and other intellectual property laws. This site, in its entirety, is the sole property of NORTHERN MUTUAL INSURANCE or its content suppliers and protected by U.S. and international copyright laws. 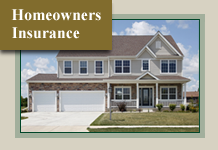 The compilation (meaning the collection, arrangement, and assembly) of all content on this site is the exclusive property of NORTHERN MUTUAL INSURANCE and is protected by U.S. and international copyright laws. All software used on this site is the property of NORTHERN MUTUAL INSURANCE or its affiliates and is protected by U.S. and international copyright laws. The content and software on this site may be used as a personal shopping and e-commerce resource. Any other use, including the reproduction, modification, distribution, creation of derivative works, transmission, republication, display, or performance of the content on this site is strictly prohibited. The application of this site, into any other site, is strictly prohibited unless pre-approved by NORTHERN MUTUAL INSURANCE. The trademarks used or referred to on this site are the exclusive property of the Northern Mutual Insurance Company ("NMIC") and may not be used in any way without written consent of NMIC. The names, logos and icons identifying NMIC services and/or products are proprietary trademarks/service marks of the NMIC. All other brand and product names are trademarks or registered trademarks of their respective holder. No part of the materials on this site, including but not limited to the text, graphics, and html code, may be reproduced or transmitted in any form without the prior written consent of NMIC. By continuing to use this site, you indicate your awareness of and consent to these terms and conditions. LEAVE THIS SITE IMMEDIATELY if you do not agree to the conditions stated in this warning. By accessing this site you are agreeing to all of the terms, conditions, and statements included in this legal statement. The entirety of this site or any portion of this site may not be reproduced, duplicated, copied, sold, resold, or otherwise exploited for any commercial purpose that is not expressly permitted by NORTHERN MUTUAL INSURANCE. The NORTHERN MUTUAL INSURANCE Internet Web site(s) may not be linked to any other site without prior consent of NORTHERN MUTUAL INSURANCE and its affiliates reserve the right to refuse service, terminate accounts, and/or cancel orders at its discretion, including, without limitation, if NORTHERN MUTUAL INSURANCE believes that customer conduct violates applicable law, disrupts our normal business activities or is harmful to the interests of NORTHERN MUTUAL INSURANCE and its affiliates. By registering or placing an order with us, you are consenting to receive e-mail from us regarding your registration or your order. Additionally, by registering or placing an order with us, you are consenting to receive commercial e-mail and mailed promotional product information from us. You agree that you may upload to the software files or otherwise transmit on or through the NORTHERN MUTUAL INSURANCE Internet Web site(s), only content that is not subject to any rights of any third parties, or content in which any holder of such rights has given express authorization for distribution on the Internet. By submitting content to NORTHERN MUTUAL INSURANCE, you automatically grant, or warrant that the owner of such content has expressly granted, the royalty-free, perpetual, irrevocable, non-exclusive and fully sub-licensable right to use, reproduce, modify, adapt, publish, translate, create derivative works from, distribute, perform and display such content (in whole or part) worldwide and/or to incorporate it in other works in any form, media, or technology now known or later developed for the full term of any rights that may exist in such content. If, at any time, NORTHERN MUTUAL INSURANCE enables site visitors to post reviews of and comments on products or services featured on the site, then the party posting that comment or review grants NORTHERN MUTUAL INSURANCE and its affiliates a non-exclusive, royalty-free, perpetual, irrevocable, and fully sub-licensable right to use, reproduce, modify, adapt, publish, translate, create derivative works from, distribute, and display such reviews and comments throughout the world in any media. 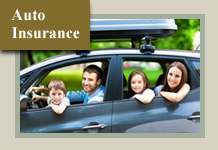 You also grant NORTHERN MUTUAL INSURANCE and its affiliates the right to use the name that you submit with any review or comment, if any, in connection with such review or comment. All items/services purchased from NORTHERN MUTUAL INSURANCE or its Internet Web site(s) are made pursuant to a shipment or delivery contract. Should there be shipping or delivery errors, NORTHERN MUTUAL INSURANCE will offer reasonable assistance in the correction of that error. However, the risk of loss and title for such items pass to you upon our delivery to the carrier. You must file any such claims with that delivery carrier. 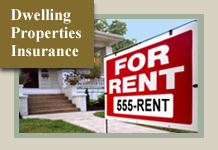 We use commercially reasonable efforts to ensure that the colors, design and details of the products, or descriptions of services, displayed on the NORTHERN MUTUAL INSURANCE Web site(s) are accurate. However, we cannot and do not guarantee that the colors, font types, design, paper stock and/or detail, as displayed by your monitor, will be accurate and we assume no responsibility whatsoever for such difference in color, design and details. In the event that you received a defective product, please contact NORTHERN MUTUAL INSURANCE within thirty (30) days from the date of your order. Your sole remedy for any defective product shall be limited to the repair or replacement of the product. THE FOREGOING COMPRISES NORTHERN MUTUAL INSURANCE'S ENTIRE LIABILITY IN CONNECTION WITH YOUR TRANSACTION. NORTHERN MUTUAL INSURANCE reserves the right at any time and without notice to change the products which are available for order. In the event, your selected product is no longer available, NORTHERN MUTUAL INSURANCE in its sole option and discretion will either make a substitution or refund your purchase price. In accordance with various statutes, NORTHERN MUTUAL INSURANCE may be required to collect sales tax on purchases of products or service shipped or delivered to customers located in the states of all fifty states, the District of Columbia and other locations as mandated by law. Tax rates, the terms specified herein and the items subject to tax are subject to change at anytime. You agree to use the NORTHERN MUTUAL INSURANCE Internet Web site(s) only for lawful purposes. You are expressly prohibited from placing any message in any product or otherwise transmitting through the NORTHERN MUTUAL INSURANCE any unlawful, harmful, threatening, abusive, harassing, defamatory, vulgar, obscene, sexually explicit, profane, hateful, racially, ethnically or otherwise objectionable material of any kind, including without limitation, any material that encourages conduct that would constitute a criminal offense, give rise to civil liability, or otherwise violate any applicable local, state, national or international law (collectively, "Prohibited Conduct"). You agree and acknowledge that NORTHERN MUTUAL INSURANCE is not responsible or liable to you or any other party for any Prohibited Conduct by any user of the NORTHERN MUTUAL INSURANCE Internet Web site(s) at any time. Notwithstanding anything in this Legal Statement to the contrary, NORTHERN MUTUAL INSURANCE is in no way obligated to monitor any user's use of the NORTHERN MUTUAL INSURANCE Internet Web site(s) or to monitor, retain, review and/or edit the contents of any message sent in a product or otherwise transmitted through the NORTHERN MUTUAL INSURANCE Internet Web site(s). However, NORTHERN MUTUAL INSURANCE does reserve the right, at any time, to monitor, review, retain, edit and/or disclose any information as we determine necessary, in our sole discretion, to: (i) satisfy any applicable law, regulation, legal process or governmental request; (ii) protect and defend our rights and property; (iii) enforce this Legal Statement; (iv) protect against misuse or unauthorized use of the NORTHERN MUTUAL INSURANCE Internet Web site(s); and (v) protect the interests of our users or the public. You are expressly prohibited from using a false e-mail address or other identifying information. Further, you may not send products (with or without messages) to people or other entities on mailing lists that you do not have full rights to use. The NORTHERN MUTUAL INSURANCE Internet Web site(s) may contain links to other web sites solely for your convenience. NORTHERN MUTUAL INSURANCE does not endorse nor make any warranties or representations about any web site you may access through a link from the NORTHERN MUTUAL INSURANCE Internet Web site(s). You agree and acknowledge that you (and not NORTHERN MUTUAL INSURANCE assume all risk for any dealings or transactions of any nature, including without limitation, the purchase of any products or services from, or the reliance upon any information or materials contained in, such linked sites. UNDER NO CIRCUMSTANCES, INCLUDING WITHOUT LIMITATION, NEGLIGENCE, SHALL NORTHERN MUTUAL INSURANCE BE LIABLE FOR ANY DIRECT, INDIRECT, EXEMPLARY, SPECIAL, INCIDENTAL OR CONSEQUENTIAL DAMAGES THAT RESULT FROM ANY PRODUCTS, GOODS OR SERVICES PURCHASED OR OTHERWISE TRANSMITTED FROM THE NORTHERN MUTUAL INSURANCE INTERNET WEB SITE(S), THE USE OF, OR THE INABILITY TO USE, THE MATERIALS IN THE NORTHERN MUTUAL INSURANCE INTERNET WEB SITE(S), EVEN IF NORTHERN MUTUAL INSURANCE OR A NORTHERN MUTUAL INSURANCE AUTHORIZED REPRESENTATIVE HAS BEEN ADVISED OF THE POSSIBILITY OF SUCH DAMAGES. IN NO EVENT SHALL NORTHERN MUTUAL INSURANCE 'S TOTAL LIABILITY TO YOU FOR ALL DAMAGES, LOSSES, AND CAUSES OF ACTION, WHETHER IN CONTRACT, TORT (INCLUDING, WITHOUT LIMITATION, NEGLIGENCE) OR OTHERWISE EXCEED THE AMOUNT PAID BY YOU, IF ANY, FOR THE PURCHASE OF ANY PRODUCT ON THE NORTHERN MUTUAL INSURANCE INTERNET WEB SITE(S). APPLICABLE LAW MAY NOT ALLOW THE LIMITATION OR EXCLUSION OF LIABILITY OR INCIDENTAL OR CONSEQUENTIAL DAMAGES, SO THE ABOVE LIMITATION OR EXCLUSION MAY NOT APPLY TO YOU. THE CONTENT, MATERIALS AND PRODUCTS ON THE NORTHERN MUTUAL INSURANCE INTERNET WEB SITE(S) ARE PROVIDED "AS IS" AND WITHOUT WARRANTIES OF ANY KIND, EITHER EXPRESS OR IMPLIED. TO THE FULLEST EXTENT PERMISSIBLE PURSUANT TO APPLICABLE LAW, NORTHERN MUTUAL INSURANCE DISCLAIMS ALL WARRANTIES, EXPRESS OR IMPLIED, INCLUDING, BUT NOT LIMITED TO, IMPLIED WARRANTIES OF MERCHANTABILITY AND FITNESS FOR A PARTICULAR PURPOSE. NORTHERN MUTUAL INSURANCE DOES NOT WARRANT THAT THE OPERATION OF THE NORTHERN MUTUAL INSURANCE INTERNET WEB SITE(S), OR THE FUNCTIONS CONTAINED IN THE CONTENT, MATERIALS, OR PRODUCTS, WILL BE UNINTERRUPTED OR ERROR-FREE, THAT DEFECTS WILL BE CORRECTED, OR THAT THE NORTHERN MUTUAL INSURANCE INTERNET WEB SITE(S) OR THE SERVER THAT MAKES IT AVAILABLE ARE FREE OF VIRUSES OR OTHER HARMFUL COMPONENTS. NORTHERN MUTUAL INSURANCE DOES NOT WARRANT OR MAKE ANY REPRESENTATION REGARDING THE USE OR THE RESULTS OF THE USE OF THE CONTENT, MATERIALS, OR PRODUCTS IN THE NORTHERN MUTUAL INSURANCE INTERNET WEB SITE(S) REGARDING THEIR CORRECTNESS, ACCURACY, RELIABILITY, OR OTHERWISE. YOU (AND NOT NORTHERN MUTUAL INSURANCE ASSUME THE ENTIRE COST OF ALL NECESSARY SERVICING, REPAIR OR CORRECTION. APPLICABLE LAW MAY NOT ALLOW THE EXCLUSION OF IMPLIED WARRANTIES SO THE ABOVE EXCLUSION MAY NOT APPLY TO YOU. NORTHERN MUTUAL INSURANCE RESERVES THE RIGHT TO LIMIT PURCHASE AND PURCHASE QUANTITY. IN THE EVENT OF ANY SITE ERROR, CUSTOMERS WILL BE LIMITED TO A SINGLE UNIT PURCHASE. PRICING ON THIS SITE MAY BE SUBJECT TO CHANGE WITHOUT NOTICE. 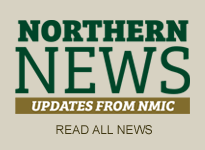 NORTHERN MUTUAL INSURANCE does not solicit the use of the NORTHERN MUTUAL INSURANCE Internet Web site(s) or purchase of products offered on the NORTHERN MUTUAL INSURANCE Internet Web site(s) by minors. However, NORTHERN MUTUAL INSURANCE cannot prevent such use or purchase and cannot prevent minors from visiting the NORTHERN MUTUAL INSURANCE Internet Web site(s). Parents, guardians and those responsible for supervising minors are solely responsible for determining what materials, products and services are suitable for such children to view and/or purchase. NORTHERN MUTUAL INSURANCE requires that use of the NORTHERN MUTUAL INSURANCE Internet Web site(s) be made either by: (a) individuals 18 years old or older; or (b) individuals under 18 years of age under the direct supervision of a parent, guardian or other responsible individual with such parent, guardian or other responsible individual's verifiable permission for such use, including the collection by NORTHERN MUTUAL INSURANCE of certain information in accordance with this Legal Statement. 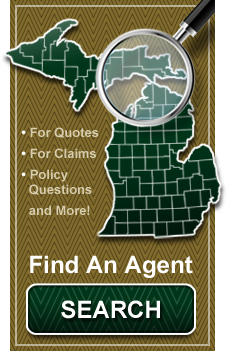 In addition, NORTHERN MUTUAL INSURANCE requires that any purchase from the NORTHERN MUTUAL INSURANCE Internet Web site(s) be by: (a) individuals of legal age; or (b) by minors under the direct supervision of a parent, guardian or other responsible individual with such parent, guardian or other responsible individual's verifiable permission for such purchase. EACH TIME YOU USE THE NORTHERN MUTUAL INSURANCE INTERNET WEB SITE(S) OR PURCHASE A PRODUCT OR SERVICE FROM THE NORTHERN MUTUAL INSURANCE INTERNET WEB SITE(S), YOU ARE REPRESENTING THAT YOU ARE EITHER: (A) 18 YEARS OF AGE OR OLDER; OR (B) A MINOR WHO IS USING THE NORTHERN MUTUAL INSURANCE INTERNET WEB SITE(S) AND PURCHASING SUCH PRODUCT OR SERVICE UNDER THE SUPERVISION, AND WITH THE VERIFIABLE PERMISSION OF, A PARENT, GUARDIAN OR OTHER RESPONSIBLE INDIVIDUAL FOR SUCH PURCHASE AND FOR THE COLLECTION OF CERTAIN INFORMATION IN ACCORDANCE WITH THIS LEGAL STATEMENT. Unless otherwise specified, the materials in the NORTHERN MUTUAL INSURANCE Internet Web site(s) are presented solely for the purpose of promoting products and services available in the United States, its territories, possessions and protectorates. NORTHERN MUTUAL INSURANCE makes no representation that materials in the NORTHERN MUTUAL INSURANCE Internet Web site(s), or the products and services promoted in the NORTHERN MUTUAL INSURANCE Internet Web site(s), are appropriate or available for use outside the United States. Those who choose to access the NORTHERN MUTUAL INSURANCE Internet Web site(s) from outside the United States do so on their own initiative and are responsible for compliance with local laws, if and to the extent local laws are applicable. Software from the NORTHERN MUTUAL INSURANCE Internet Web site(s) is further subject to United States export controls. No software from the NORTHERN MUTUAL INSURANCE Internet Web site(s) may be downloaded or otherwise exported or re-exported (i) into (or to a national or resident of) Cuba, Iraq, Libya, North Korea, Iran, Syria or any other country to which the United States has embargoed goods; or (ii) to anyone on the U.S. Treasury Department's list of Specially Designated Nationals or the U.S. Commerce Department's Table of Deny Orders. By downloading or using the software, you represent and warrant that you are not located in, under the control of, or a national or resident of any such country or on any such list. NORTHERN MUTUAL INSURANCE is incorporated in the State of Delaware, USA. As such, the laws of the State of Delaware will govern these disclaimers, terms, and conditions, without giving effect to any principles of conflicts of laws. We reserve the right to make changes to our site and these disclaimers, terms, and conditions at any time.